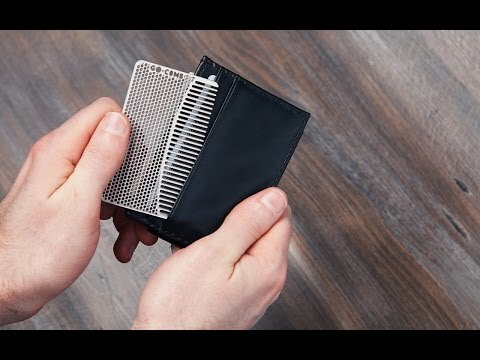 The size of a credit card, Go-Comb fits easily in a wallet. It’s lightweight, waterproof, and durable, and ready to touch up hair, beard, or mustache when you’re out and about. Dimensions: 2" x 3.25" x 0.03"
This comb fits perfectly in a pocket or wallet and won't break like plastic combs AND it's PRETTY! That led to the creation of the Go-Comb. With the look and feel of vintage travel combs, Go-Combs feature a variety of colors and designs appealing to both women and men. They are made with a waterproof mix of brass and stainless steel, which resists both rusting and bending. And best of all, you can actually carry Go-Comb without an awkward protrusion from your wallet or pocket.